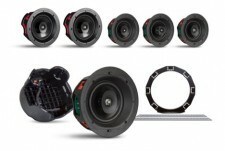 SAN DIEGO, September 5, 2018	(Newswire.com) - PSB Speakers, long renowned for affordable excellence in loudspeaker design, introduced new CustomSound loudspeakers offering professional installers a wider range of options for the professional audio installer. In response to many requests from the field, PSB strengthens its existing lineup of architectural in-ceiling series with the introduction of four new models. In parallel with the existing CS610 and CS650, PSB is launching the 8” equivalents: the CS810 and CS850. In addition, PSB will be launching two new value-priced models. A new 6” model CS605 and 8” model CS805 will serve the demand for budget-sensitive projects and volume applications. Deliveries will commence mid-November. CS850 ($499 each U.S. MSRP) is a premium 2-Way In-Ceiling speaker system with 8” woofer, carbon-filled polypropylene cone with injection-moulded basket and high-power distortion-cancelling magnet technology. The CS850 offers higher sensitivity and lower distortion at high playback levels than comparable in-ceiling speakers. The 1” Titanium dome tweeter features a neodymium magnet, ferrofluid cooling and, for this application, a Wave Guide which is rotatable and aimable for pinpoint imaging. Tweeter and woofer level switches help tailor the frequency response to allow for flexibility in application. CS810 ($349 each U.S. MSRP) is a two-way, 8” In-Ceiling speaker system with a 1” Titanium Tweeter and waveguide technology. The tweeter is rotatable and aimable to focus the sound and has a high-frequency switch to tweeter level to tailor its tweeter level to the environment or personal preference. CS605 ($119 each U.S. MSRP) features a 3/4 “ soft dome fabric tweeter and polypropylene cone. CS805 ($199 each U.S. MSRP) features a 1” soft dome fabric tweeter and polypropylene cone. Common to all models are high-strength Delrin “dog legs” built on a rigid frame for secure and easy installation. Pre-construction brackets and acoustic backboxes are available. All models will have the same traditional PSB tonality and dispersion characteristics allowing for great flexibility of system design with any PSB on-wall, in-wall and traditional floor-standing speakers. The new PSB CustomSound speakers will be on display at the Lenbrook booth # 5435 at the upcoming CEDIA Expo in San Diego, California, Sept. 6-8, 2018. Founded in 1972 by renowned speaker designer Paul Barton, PSB is a leading global speaker brand, now celebrating more than 40 years. Currently sold in more than 70 countries around the world, for music or movie listening, the company has set the standard for high-performance, high-value speakers. PSB products are distributed in the U.S. by Lenbrook America.